So here is a first look and some details of this new bike from Fuji. We will have more tech details tomorrow. Questions? Those bars??? Is that a reverse Kamm Tail? The frame actually looks pretty aero with its well shaped head tube. The Oval bars... look at the thickness and cabling running under them. Have the stack and reach numbers been release yet? 2 thoughts: 1/ Why would you choose to install the Shimano battery on the seatpost? That is some valuable real estate, wasted on something you (hopefully) never need to access in a hurry. 2/ I'd hope never to get a rear flat - those chainstay brakes look fussy to get at in the heat of the moment. The cabling looks like a rush job, or at least I hope. 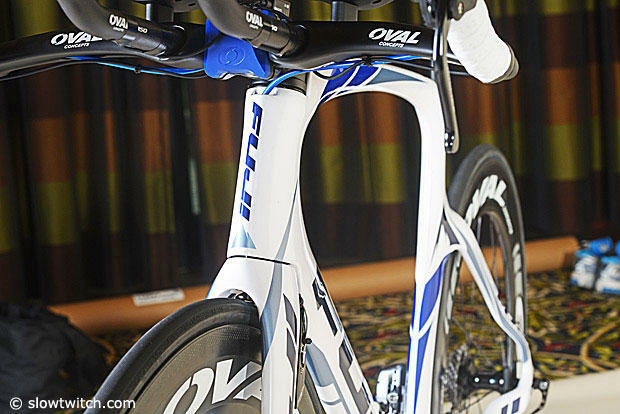 That looks like a new Oval bar, so you would think that it was Di2 compatible from the base bar. You'd think a bike called a "Straight" wouldn't have that ugly sloped top tube. I think it looks *so* much better than the D6. Likely more aero too. The bar looks thick. Wonder if it is aero? The cables hanging under the bar don't look so good. I guess they really stand out because they're hidden everywhere else. The battery on the seat post is a bit weird. Let's maybe figure out how to get it IN the seat post. Overall, great stuff from Fuji. I'd ride the heck out of one of these! 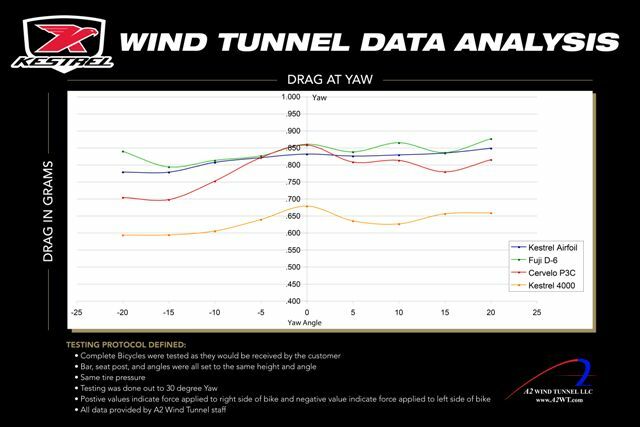 And apparently the D6 ~ P3 @ 0 deg yaw. I am pleased that they aren't doing the ridiculously short front-centres that afflicted the small sizes of the D6. But the progression in x,y is not particularly consistent. A bit disappointing that the release I've being getting annoying emails about for weeks has every model with the same RRP. The development process appears to be well conceived and the bike overall looks to be a much better effort than the predecessor. I like the front brake cable enters the head tube, but why not the rest of the cables also. Design looks like a transition, though I that design is 6 years old by now. And Fuji did not "update" the design to today's standards. Its like the bizarre child of a Chinese open mould and a Specialized Transition. What is the battery doing on the seatpost? For a new generation bike you would expect the battery to be hidden. I sent a note to Fuji to look at this thread and suggested that a product person / engineer ought to respond to some of these questions. They may be traveling back East today though. This bike needs a nickname! wow, definitely needs another cockpit. If you look at the Fuji Track bike for last year, most of the design components are the same as the Norcom. Hah, that was my first thought too. Second thought was "Align your skewers!" Indeed. I was specifically looking at the fork/ top tube integration which looks ordu-esque to my eye. Overall, I like the look. Where are the opportunities to mount bentobox/computer/BTA bottle/repair kit etc??? I found this strange as well. How hard is it really to put top tube bosses? With the current drag numbers, it would be hard to recommend this bike over something proven like a Trek Speed Concept 7 series or Specialized Shiv. Wow, eigner is right. Those cables under the aerobars are horrible. You can't help but notice the clumsy battery placement right away, but I didn't recognize the missing bosses on the top tube until others pointed it out. Fuji really didn't pay attention to details. Where are the opportunities to mount bentobox/computer/BTA bottle/repair kit etc? It's not perfect, but it is a huge improvement over the D6. But, as you might imagine, we're also a bit disappointed with this ^ . Theres literally only bosses on the down tube. No bosses on the seat tube even. Thats just silly. SAme as the D6 (about the bosses). The more I look at the Norcom, the less in love I am with it. 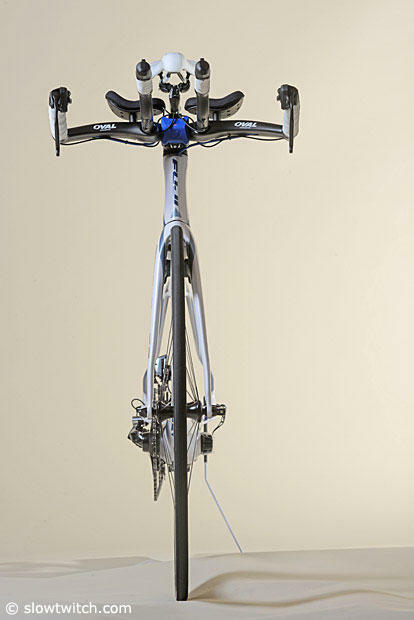 Looks like it would make a nice(r) aero road bike than a triathlon bike. With all the crap that triathletes seem to love to attach to their rigs the lack of a well-thought-out accessories mounting system seems a curious omission. Crowded marketplace and if it's not priced below the competition I can't see how it'll succeed. Oh, and that aerobar is utterly hideous. I mean, c'mon. Nice aero brake integration though.